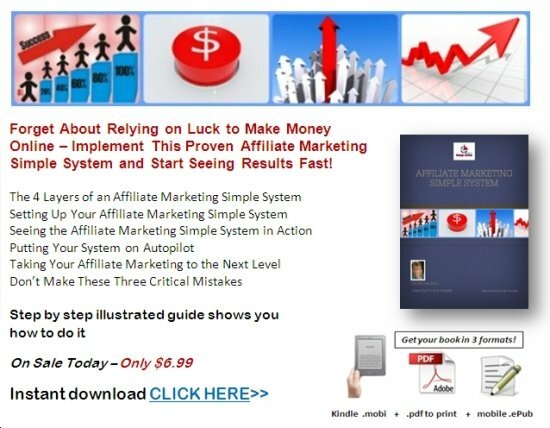 There are some hard and fast rules to affiliate market that everyone should know. Every Internet marketer should have a bread and butter traffic source and should have profitable campaigns running in at least the verticals. We will explain these concepts in this article. In internet marketing traffic is king. Every time you sign up with a new CPA network or affiliate marketing program the account manager will ask how much traffic do you have. What exactly is traffic? Traffic is just an industry jargon term for how many people visit your websites or click your advertisement links. There are multiple ways to get traffic on the Internet. You can pay for clicks and adds via Google AdWords or from banner placements. You can get organic traffic via having people find your site from search engines. Facebook even has it's own paid advertisement platform that you can use. 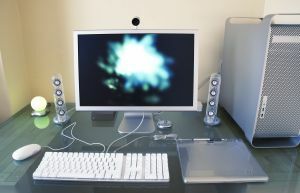 Many people get traffic from youtube videos and article writing. These are all great choices of driving people to your website. It is always a good idea to test them all out to see which is the most profitable. The cool thing about Internet marketing is that it is cheap to test out different methods of driving traffic to your site. You can run as many tests until you are sure which is the best. Once you have an idea of how you will get traffic, you now need to decide what type of affiliate program you want to run. In the industry, we call something such as health a vertical. Under the health vertical their are many niches such as, weight loss, skin care, supplements and products that are designed to keep people healthy. It is always wise to promote more than one niche and to use different affiliate programs because affiliate offers do not last forever. They get discontinued and stopped. You need to have another affiliate offer ready to run when this happens. You also want to market more than one niche or product so if traffic slows in that one niche, you will have other ways to continue making income. I know many marketers who were making a killing under one specific vertical and when the methods used to market that vertical stopped producing traffic they saw a major decline in their income. There's a ton of money to be made with affiliate marketing but you have to put in the time to study this industry. You have to roll up your sleeves and get dirty, trying different methods and ideas. Once you learn the basics, you will be able to make a living off of affiliate marketing. There are certain steps that can help you become more effective in your affiliate marketing business; and while the following may not be a complete list, it should serve as fodder for additional research. The most effective affiliate marketers have a sound business plan. When this is in place not only will it save you time and money, it will help keep your eyes focused on your goal. Once implemented, you'll find your time can be used more wisely, and your affiliate business can grow exponentially. While many affiliate marketers work from homes, it is crucial these same individuals have a set of tasks to accomplish daily, otherwise instead of an affiliate marketing business; you might simply have an interesting hobby. A successful affiliate marketer should be aggressive both with their ideas and how they are implemented. By doing this, you can quickly separate the 'wheat from the chaff', focusing your time and energy on those techniques and products which can propel you towards the top of your game. Achieving success can definitely be accomplished; it simply requires following an effective and proven path. The most successful affiliate marketer not only has a plan but also a long-term strategy, automating their daily tasks when possible. Although there is a multiplicity of tools available for the affiliate marketer, the engine behind multiple successful campaigns is the auto-responder. This established tool allows affiliates to write something once, and then have it automatically fed to subscribers on a daily basis. By doing this, not only is this making the best use of their time, they are also ensuring their subscribers receive quality information with a push towards their sales funnel. It's the wise affiliate marketer who protects himself against the loss of affiliate commissions by using link protection software. While we'd like to think of the Internet as a level playing field it's filled with those who, should they have the ability to steal our commissions, they will. While it impossible to achieve 100% protection, we can proceed in the right direction by protecting our affiliate links using link protection software. This software hides the affiliate link, and makes it much more difficult for commission thieves to steal what is rightfully ours. Because the modern PC is a technological marvel, often the everyday affiliate marketer doesn't take the time to back up critical documents and records. It is paramount for long-term success to have a backup plan in place. This ensures your most sensitive data is protected from catastrophic failure and you can continue to market, even after a hard drive crash. Because any affiliate marketer deals with competition, they must learn to think outside-the-box, offering outstanding incentives and bonuses and not simply offer the same thing as hundreds of others. This allows the savvy marketer to quickly rise to the top even if a particular product, or product launch, is filled with competition. Most of us receive e-mails every day from a variety of marketers, by keeping track of those e-mails that inspires, we can begin to learn the art of persuasion. The greatest step an affiliate marketer can take is simply this, "take action". It's easy to stink about how successful you will be, but you'll never really know into you put your plan into action, and watch where the chips fall. Being an affiliate marketer can be extremely lucrative, but only if you are taking part in the game.